Are you looking to cash out your bitcoins? Well, if these questions resonate with you, then you are in the right place. You have now lost interest in Bitcoin. Or you think you have made enough returns out of your Bitcoin investment. In any case, you just want to convert your BTC into cash either to realize profits or free up your stuck capital. However, whatever your reason might be, I understand your stand as one might sometime feel the need for extra capital or would like to realize profits. How to get USD, EUR or GBP for Bitcoin? Where to cash out Bitcoin? Where to convert Bitcoin into fiat like USD, EUR, GBP etc? Bitcoin To Cash: How To Cashout Bitcoin? Cashing out Bitcoin isn’t easy at it looks but for you we have found out some of the best ways through which you can convert your bitcoins into cash. But before we get into the specifics of that, you need to decide how do you want your cash? Do you want it in your bank account or you want the hard cash by meeting someone in person. Or do you want to have other stuff in exchange for your bitcoins like gift cards or Amazon products from Purse.io? One of the easiest ways to convert Bitcoin to cash is through Bitcoin ATMs. Bitcoin ATMs are much like traditional exchanges from where you can either get cash for Bitcoin, or you can get Bitcoin for cash. This method is usually anonymous and requires you to have a Bitcoin wallet in case you are receiving Bitcoin or selling it. A Bitcoin ATM asks you to scan its public address, and when you have transferred BTCs to that address, it splits out equivalent fiat. 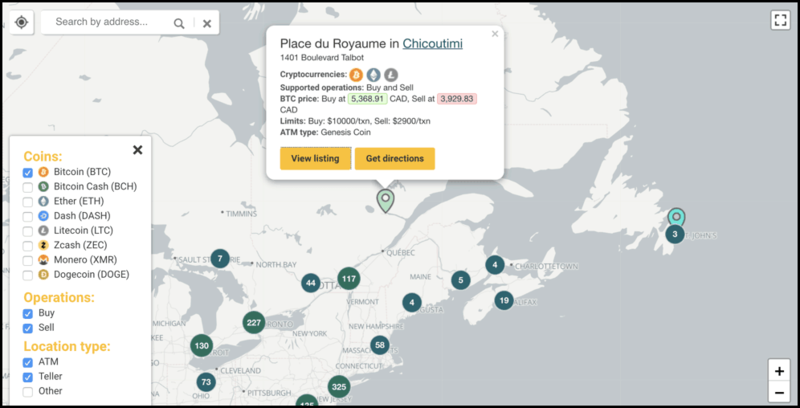 For this, you first need to make sure that you have a Bitcoin ATM nearby and that you can do through Coin ATM Radar service. Fees: Buy 13.0%, Sell 16.9% from BitcoinAverage Fees updated: 12 minutes ago. So this is how you can get fiat for Bitcoin through a Bitcoin ATM. But just after writing this I realized that not everyone would be able to find Bitcoin ATMs nearby. 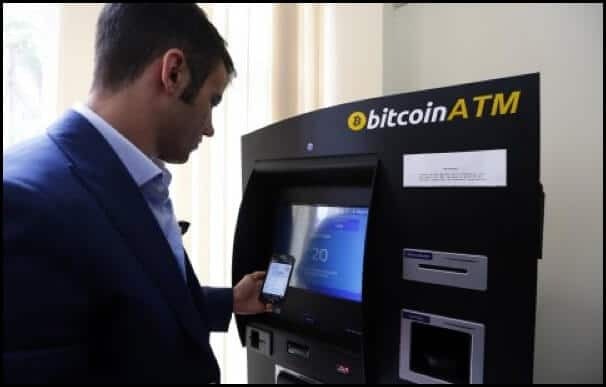 That’s because there are only few Bitcoin ATMs around the world as of now and that brings me to my next section which is a much easier way to convert BTC to fiat if you don’t have ATMs nearby you. It is highly likely that if you don’t have Bitcoin ATMs near you, you will be having fiat accepting Bitcoin exchanges in your country. Using these exchanges, you can easily convert your bitcoins into cash like USD, EUR or GBP. Of course, for this, you will be required to find such an exchange that deals in fiat and cryptocurrencies both. You will also need to complete your KYC on such exchanges before you can exchange BTC to cash because fiat currency laws in most countries want exchanges to adhere to this policy. These exchanges will help you cover most of Europe, the US, and the UK. Of course, I understand that I have not listed all the countries here but in reality, not all countries have such fiat linked cryptocurrency exchanges. So for residents of those countries, I will be listing another method through which they can meet Bitcoin buyers/sellers in their country to cash out their bitcoins. For those BTC holders who have neither crypto exchanges nor Bitcoin ATMs in their country can exchange BTC for cash through LocalBitcoins. LocalBitcoins is a peer to peer Bitcoin exchange service based out of Finland. LocalBitcoins is an escrowed service which has garnered quite a bit reputation since 2012 as the most liquid P2P Bitcoin exchange. 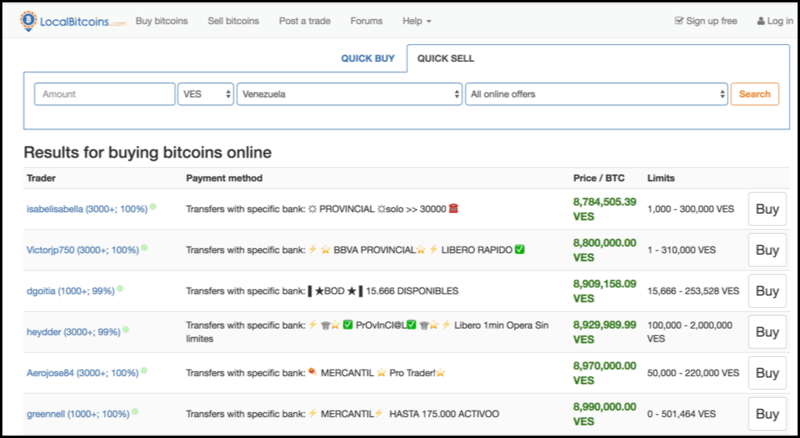 On LocalBitcoins you will a no-ground network of Bitcoin buyers and sellers in 16537 cities and 248 countries including your country too. Through LocalBitcoins, you can meet the buyers and sellers in person to negotiate and execute a Bitcoin trade. 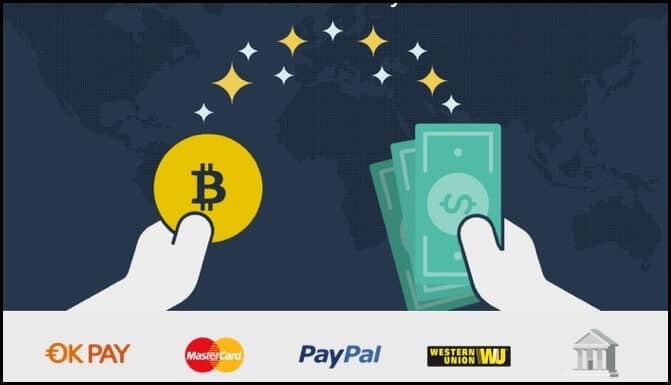 Moreover, when you are cashing out BTC you have a lot many options to receive your cash ( SEPA Transfer, bank deposit, PayPal, Payoneer, cash). Getting started with LocalBitcoins is also easy as it only takes you email ID to begin with. After which you can explore the simple and intuitive UI of LocalBitcoins to filter out relevant buy/sell deals for yourself. Note: Be sure to check the reputation of the buyer/seller before you decide to pick up a deal on LocalBitcoins and never release your bitcoins without confirming your payment receipt. And just when I am completing this, I am realizing that there might be another category of Bitcoiners who would be thinking to cash out Bitcoin to short it and buy back when the price is lower. For those kinds of Bitcoin users converting Bitcoin into cash might not be the ideal thing and that’s why such types of users prefer converting Bitcoin to USDT like stablecoins. And hence I am sharing a bonus method just to do the same. Anyone who wants to cash Bitcoin and not get into KYC like things can do so by cashing out in fiat digital currencies, i.e., Stablecoins like USDT, TUSD, etc. This method will reduce your headache of dealing with KYC and other banking problems which you might run into when trying to cash out your bitcoins through fiat linked crypto exchanges. These are some of the best methods that you can use to cash out your bitcoins for fiat currencies like USD, EUR, CNY or GBP. However, I understand that many countries are still left untouched by the methods I have listed above and to name a few such as Australia, Zimbabwe, Argentina, etc. For these countries and other left-out countries, TheMoneyMongers plans to bring a comprehensive list of resources using which they will be able to buy/sell Bitcoin in their respective countries. We intend to start first with first and second world countries such as listed below. After which we will finally make our way for third world countries, who actually need Bitcoin the most. So that’s all from our side in this round-up and I hope you liked this? Do share it with your friends on social media who want to buy or sell Bitcoin !! Note: Better than selling and cashing out your bitcoins, you can always take Bitcoin loans on your BTC holdings. Here is how you do that ! !